Tuesday, November 19th from 5:30-7:30pm. 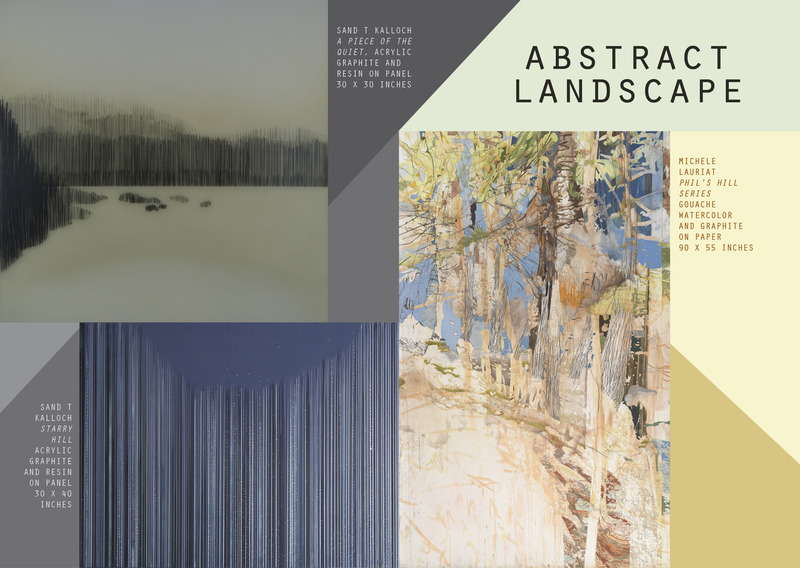 The Sunne Savage Gallery and McGladrey present Abstract Landscape, an exhibition of two local female artists whose artwork vary stylistically, but yet share a common theme. Michele Lauriat’s complex large scale compositions are inspired by specific locations, such as Phil’s Hill, NH and Spot Pond, MA. Sand T Kalloch’s minimal landscapes, although not site specific, evoke strangely familiar scenes of quiet coasts, ponds and mountainsides. Both artists play with grounds in their work, with foregrounds melting into backgrounds, reflection and atmosphere. In addition to abstracting the composition, the artists share a complimentary color palate and linear detail that unites the work. Abstract Landscape is an exhibition not to be missed by contemporary art lovers and nature enthusiasts alike. The exhibition runs October 7th, 2013 to January 31st, 2014. The McGladrey Art Gallery is located within the McGladrey office at 80 City Square, Charlestown, MA. Garage parking is available in the rear of the building. The McGladrey Art Gallery is open by appointment. Please contact Christina Godfrey to schedule an appointment.